I had the pleasure of enjoying and guiding the lovely young lady through the essence of Table Mountain on the afternoon of my birthday. 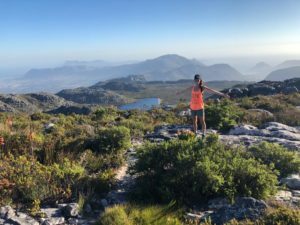 Her group has been with me for a few days and She decided to stay a little bit longer and dip her finger into the beauty that shapes not just Cape Town but Table Mountain too. 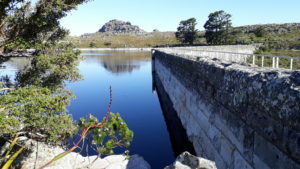 The route suggested was the Pipe Track to the Table Mountain upper cable way station via Kasteels Poort and the dams on Table Mountain. It was hot and challenging yet a very pleasurable and satisfying achievement on my special day and even more so for my inquisitive visitor. With in 10 minutes of hiking we were greeted by this stunningly gorgeous view of Capms Bay and Clifton. 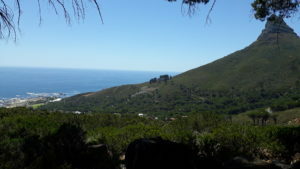 After 45 minutes we started our ascent of the Twelve Apostles, taking the Kasteels Poort path to the old cable car ruins. The view constantly changes and consistently amaze. One of the many reason why I was blessed to enjoy and love what I do. When we reached the top of the gorge we made a brief stop at the ruins and continued to the dams. 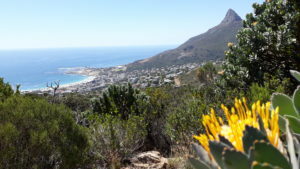 Not long after spending time relaxing and taking in all the beauty and splendor of Table Mountain we then started making our way to the cable car. It is amazing how wonderful it is to the smile on guests faces, no words to describe yet just the smile sums it up. 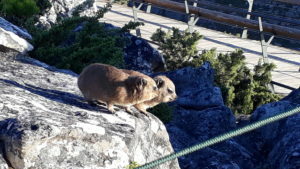 Meeting the furry Dassies at the top of Table Mountain is always a grand surprise. The hike was fulfilling and a birthday well spent. 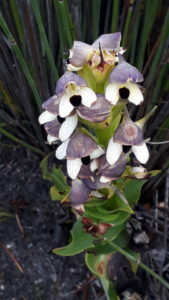 The Golden Disa a Table Mountain Orchid is of my favorite orchids flowering during my birthday and I jump at the opportunity to point it out. 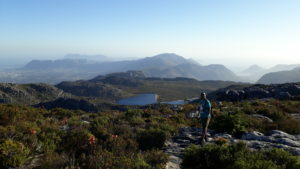 The OOOOOOO’s and AHAAAA’s is the general sound of appreciation for witnessing such rare gems on Table Mountain.